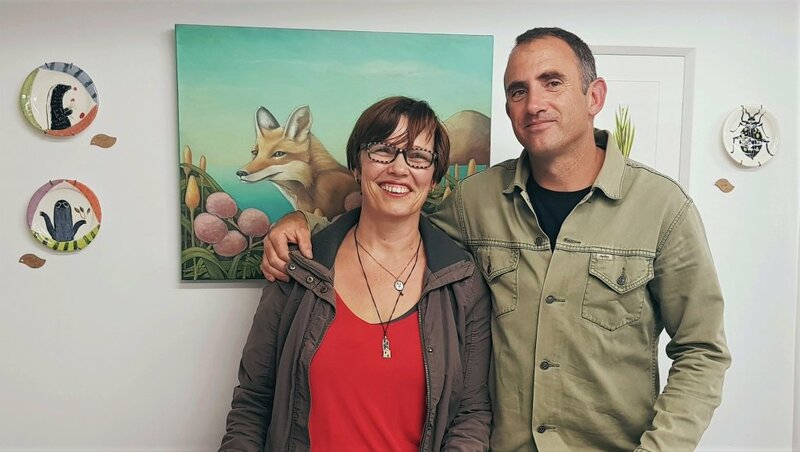 Santie Cronje and Shane Berger are the duo behind the new Deciduus Concept Gallery in Tirau. 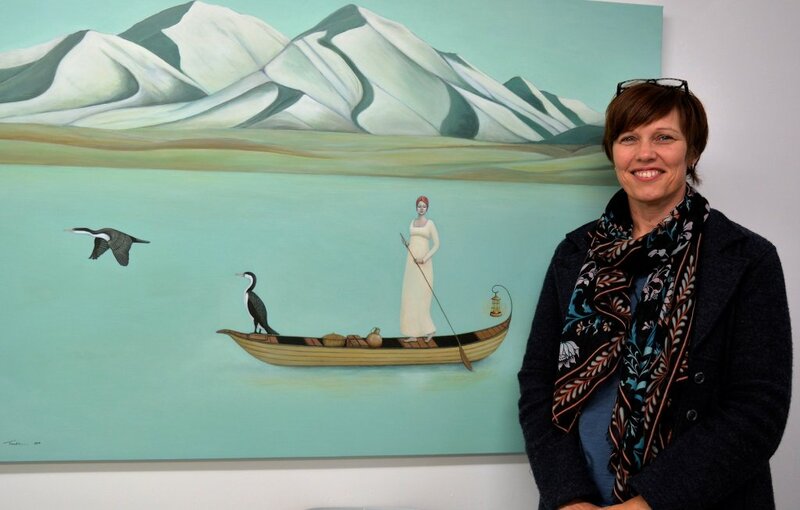 A Cambridge artist known for her whimsical flair has joined forces with her horticulturally-oriented partner and opened an unusual concept gallery in Tirau. Santie Cronje and Shane Berger named their new outlet Deciduus, giving a Latin-leaning nod to the gallery that is a combination of both fine art and plant boutique, specialising in paintings, ceramics, photography and indoor plants. There is much that is unusual about Deciduus, which opened on May 5. The greenery and most of the artwork feeds into an overarching botanical theme, with plans in place to run quarterly ‘seasonal’ displays which will show work done by invited artists. In between these displays there will be group shows, aimed at eliciting interest from artists keen to submit their work for future exhibitions. “By changing the collection every three months, we will be keeping it fresh. At some stage we would also like to invite some of those artists to hold workshops, and perhaps even get involved in mentoring young people with the talent and the interest,” Santie said. She also plans to be the gallery’s ‘resident artist’ once she has her working space organised. Santie and six other artists have their work in the current collection, entitled ‘Nature’. They are Whitianga photographer Sharon Wright, Tauranga photographer Tracy Stamatakos, Cambridge painter Chrissy Taylor, Nelson potter Ingrid Firmin, Morrinsville potter Susan St Lawrence, and Auckland potter Helen Perrett. Santie Cronje with some of her work at the new Deciduus Concept Gallery in Tirau. Through an unusual collaboration with both the Alexander Turnbull Library and the Auckland War Memorial Museum, Deciduus is also displaying and selling a small range of prints – some with a botanical theme, others more historical. South African born and raised, Santie’s work is reflective of her own journey. Birds are included in many of her pieces; she sees them as uplifting and finds a parallel between her own life and that of the godwit. Both have lives spanning two countries. Shane’s horticultural background places him firmly in control of the botanical side of Deciduus. Looking for the perfect spot for their concept gallery proved to be a challenge over many months, they said. 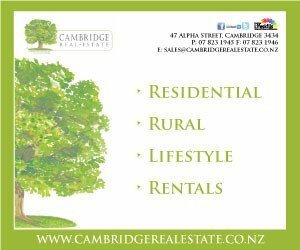 “We did look in Cambridge, but just couldn’t find exactly the space we needed,” said Santie. “We were looking for good window frontage, great light and enough space to do what we wanted to do. Deciduus is open from 10am every day except Mondays.